Well this is my second wallpaper and I made it long back during DIWALI (Festival of Lights) but unfortunately I did not get time to submit it and besides I had to make some changes. I started making it when I saw BECKOR's work in one of his wallpapers and that wallpaper also involved mininimalism, I was so impressed with that wallpaper that I wanted to make something like that so I searched for the scan that would suit the minimalism and I found the scan in this site and the reason for choosing this scan is that I liked the character's face so much that I thought it would be perfect for my work. So in overall this wallpaper came out with inspirational work of BECKOR's wallpaper and some good suggestions from SESSION-ZERO so I've decided to dedicate this one to BECKOR and all the anime fans. I appreciate your comments and Thankyou in advance. wah ... dark and gloomy. Cool! I love this picture. 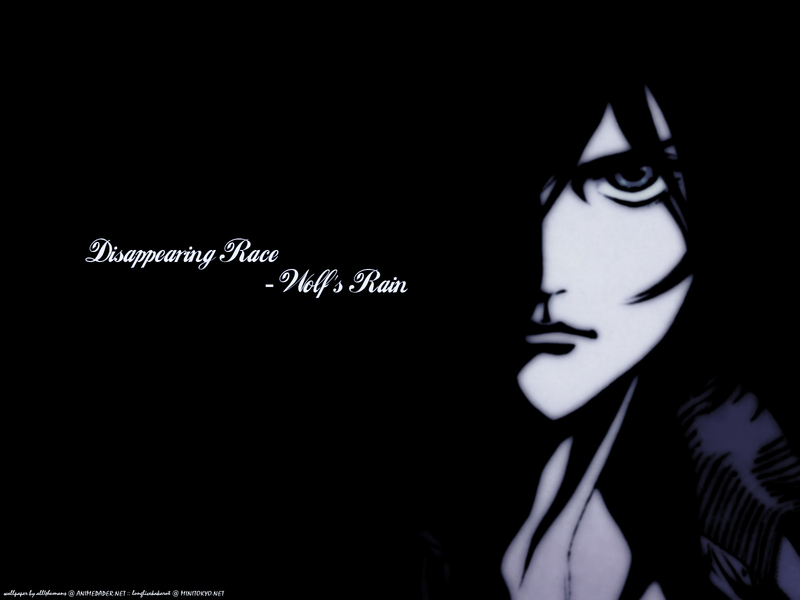 The dark really seems to fit wolf's rain overall tone.